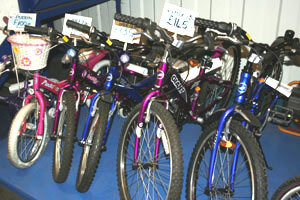 Every bike we sell has been fully checked and assembled by our experienced staff, so it's ready to ride straight away. This means you can be sure you're not just getting a bike in a box which you have to take home and assemble yourself. If you need information about a particular bike, just contact us to discuss your requirements in more detail.